Spectators will enjoy watching some of the top horses in the country compete. Antioch, IL – September 1, 2013 – The excitement gains as the 2013 Chicago Hunter Derby presented by Chicago Equestrians for a Cause nears! The event takes place this week, Saturday, September 7th and Sunday, September 8th at Annali Farm. The event features the $50,000 USHJA International Hunter Derby sponsored by Canadian Pacific. But the fun doesn’t stop there! Watching some of the top horses in the country compete over one of most beautiful courses ever designed, is just the tip of the iceberg. The weekend is filled with activities for everyone! Starting Saturday, September 7th at 10:00am, guests can watch two rounds of action in the $5,000 USHJA National Hunter Derby presented by Abba Vet Supply. General Seating is available for a suggested donation of $25.00 at the door. 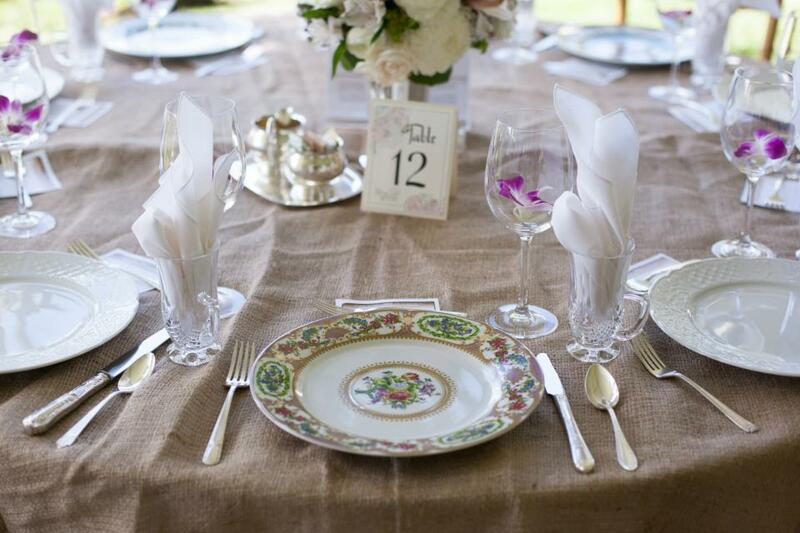 At 12:00pm, Chef Paul Catering will treat spectators to an amazing lunch. The first horse will be on course for the first round of the International Hunter Derby at 2:30pm. Guests can see if they are able to pick the top riders who will be returning for round two on Sunday. As if that wasn’t enough already, from approximately 5:00 to 7:00 pm, everyone is welcome to attend a cocktail party! Tamales Catering will be providing Latin inspired appetizers including; Guacamole, Salsa, Chips, Jicama, veggies, Cheese Quesadillas, Mushroom and Cheese Quesadillas, Chicken and Cheese Quesadillas, Mini bite-size pumpkin tamales and a Taco/Fajita Bar. Gene and Georgetti will be providing the refreshments for the evening and to top it off, entertainment by the band, blitzFM. 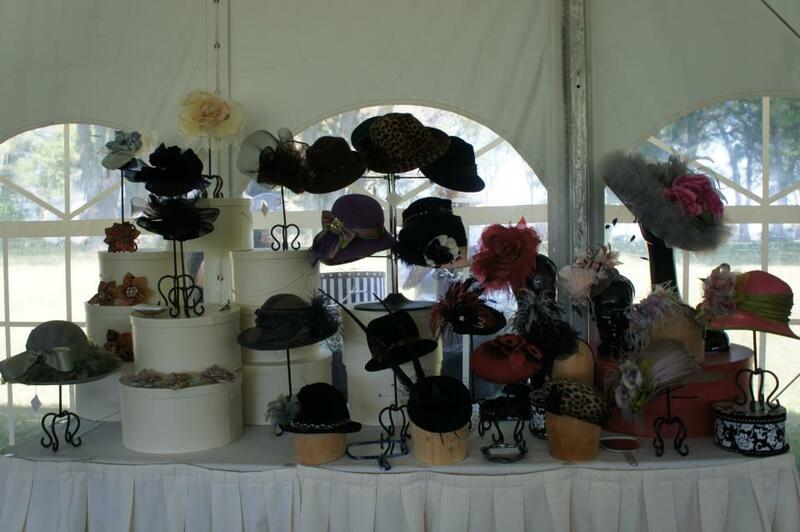 Shop for the latest fashions at the various vendor booths. And there’s still more! For the shoppers in the family, Barrington Saddlery will be selling equestrian related items and clothing including Le Fash shirts and La Mundial will be on hand with their beautiful custom boots. Ooh La La Millinery will have a smart collection of hats to try on and Sara Campbell will have her finest fashions available as well. Don’t worry, we haven’t left out something for the men. Camping World will have a camper and a representative on site for bigger shopping and Knauz Auto will have a selection of Land Rovers to peruse. Good Threads will be displaying a selection of custom needlepoint belts. Each belt sold feeds a child in the Dominican Republic for a month! It’s a truly great company, and they have created a custom Chicago Hunter Derby belt, which will be given to the top three male riders of each derby! They will also have a booth in the tent, selling belts and taking orders. Don’t forget, Gene and Georgetti will be serving refreshments including wine, champagne and beer to top off the day’s events. Sunday brings the second round of the $50,000 International Hunter Derby and more events to boot. Gates open at 10:30am for VIP table and ticket holders to start shopping and socializing. A fabulous brunch buffet by Chef Paul Catering, will be served at 11:00am with drinks by Gene and Georgetti. Angel’s Envy Bourbon will have a custom bar and a mixologist on site creating mint juleps and bourbon punch as well. Sunday features VIP tables to enjoy the derby and fabulous food and drink. Finishing off brunch, Sugar Chic Designs will be providing gorgeous, equestrian inspired candy favors for the guests of Sunday's brunch. Amy DiTomasso, the owner of Sugar Chic, does incredible work on both sweets tables and her newest venture, A Sweet Delivery. Sunday also features special events for children sponsored by Our Day Farm’s Lynn and Silas Jayne of Elgin. A Horseless Horse Show will begin at 11:00am for those horse crazy kids, along with a petting zoo, face painting and hot dog cart. 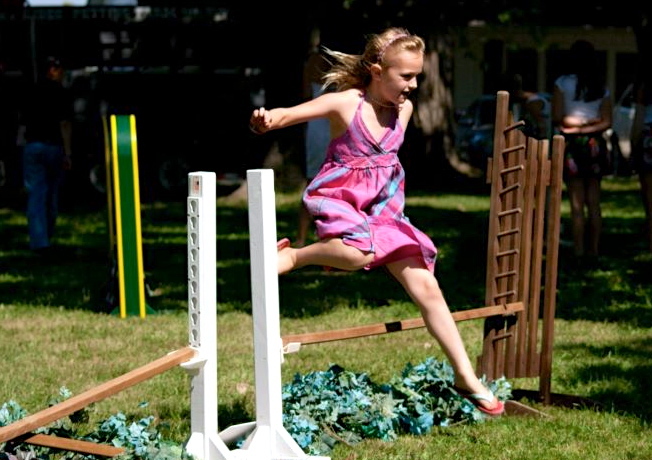 Kids can enjoy the horseless horse show. A special Calcutta will begin under the tent at 12:00pm where guests can wager on the winning team. The First horse on course will be at 1:00 pm for the Handy Round of the USHJA International Hunter Derby. Watch the final round as horses and riders compete over one of the most beautiful courses in the country designed by George H. Morris of Wellington, FL and Bobby Murphy of Lexington, KY, graciously landscaped by Rocco Fiore Landscape. But the excitement rolls on with a “Dress to Impress” contest under the tent for the most fashionable ladies in the crowd and a gift certificate for a Le Fash shirt going to the winner. Chicago Magazine will be on hand with magazines and subscription offers. And don’t forget to purchase your tickets for the great raffle prizes. The prizes include a weekend experience with a Land Rover and a weekend getaway at the Peninsula (sponsored by Knauz Auto), a pair of Clara Williams’ earrings, a McGuinn Tack Trunk and a mini-jump from Brody Robertson Show Jumps. Tickets will be sold both days. 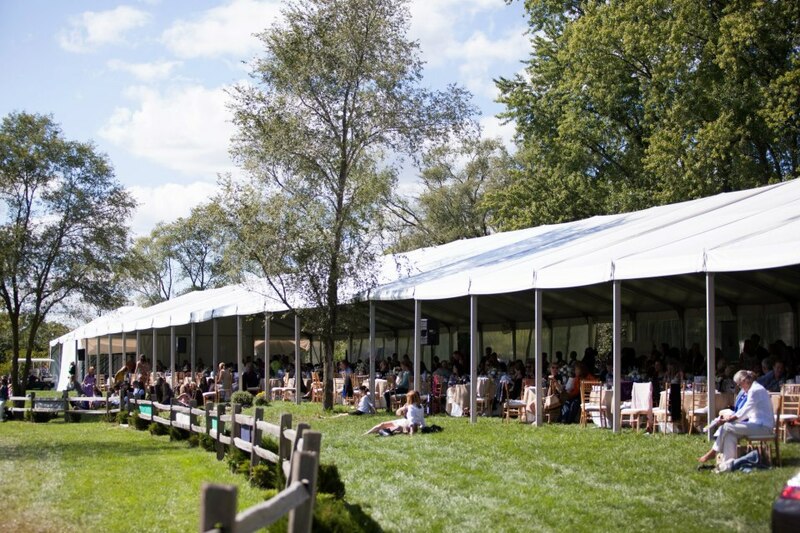 Enjoy top notch horses, food and fun at the 2013 Chicago Hunter Derby. And just when you think it can’t get any better, the sponsors are still bringing on more! Ann K Hubbard’s Tack Shop will be matching the proceeds from the raffle and Le Fash will donate $500 if the winner of the National Hunter Derby “Le Fash Wear It and Win It Challenge" class is wearing a Le Fash shirt! Usually, if the winner of one of these classes wears Le Fash, the rider receives a bonus, but this time, a donation to the USHJA Foundation will be made in the rider’s name. This is what the Chicago Hunter Derby is all about! With this challenge, we encourage all the riders to go to Barrington Saddlery and buy a Le Fash shirt, so they are eligible for the $500 donation! But the best part of the event is that it benefits three charities; Ann & Robert H. Lurie Children’s Hospital of Chicago, The United States Hunter Jumper Association Foundation, and the University of Chicago Cancer Research Foundation.